Bernie Sanders Responded Late To Brussels — That's Not A Bad Thing. On Tuesday morning after devastating explosions rocked Brussels, U.S. presidential candidates immediately spoke out about the attacks, condemning them and expressing their condolences. But one presidential hopeful took noticeably longer than the others: Bernie Sanders responded to the Brussels attacks hours after everyone else. Why the delay? His statement is startlingly brief considering how long it took to be released. It certainly doesn't seem like Sanders was using all this time to write a novel. Instead, Sanders' statement is simple, direct, and only four sentences long with no attempt at flowery language, saying "We offer our deepest condolences to the families who lost loved ones in this barbaric attack and to the people of Brussels." Its brevity sets a far different tone from other candidates, who leapt to social media with dense paragraphs slamming terrorism, describing their plans of action, and touting their political agendas. Donald Trump used the attacks as an opportunity to reinforce his anti-immigration points and called for the U.S. to close its borders. Ted Cruz raged against "radical Islam," adding "that ends on January 20, 2017, when I am sworn in as president." The closest Sanders comes to articulating a formal foreign policy point is: "Today's attack is a brutal reminder that the international community must come together to destroy ISIS." The Brussels attacks quickly became a point of contention among candidates. Trump advocated waterboarding terrorists in an appearance on Fox News' Fox & Friends. Hillary Clinton fiercely disagreed on ABC's Good Morning America, saying torture would be an "open recruitment poster for more terrorists." Cruz took shots at Trump in a news conference: "It is striking that the day after Donald Trump called for weakening NATO, withdrawing from NATO, we see Brussels, where NATO is headquartered, the subject of a radical Islamic terror attack." Far away from all this drama is Sanders, who hasn't engaged in any tussle with other candidates regarding Brussels (yet). His message, though delayed, arrived after the first frenzy of candidates releasing statements and jumping onto talk shows — it and omitted any mention of politics. It expressed grief for the loss of life and solidarity with the people of Belgium. It stood apart from other candidates' responses in not only its timing, but also its content. 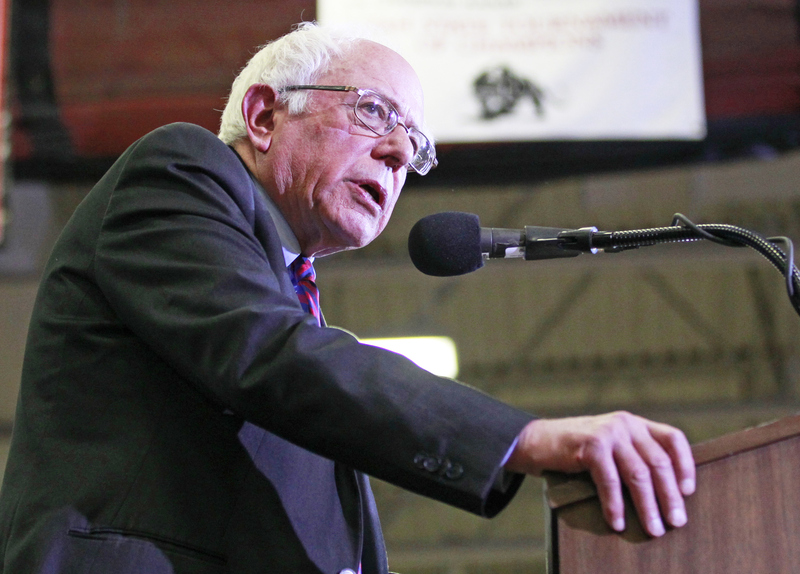 Sanders' campaign mostly rides on his domestic policy — down with Wall Street! Down with corporate evil! International affairs is neither his cup of tea nor his strong suit. However, in the past, Sanders has stated that "war must be a last resort, not the first option," and it's become part of his campaign. This view starkly contrasts Ted Cruz's call for a war against "radical Islamic terrorism." Even Clinton responded to the Brussels attacks with a call to action, saying on NBC's TODAY that "We have to intensify our efforts to find and prevent terrorists from ever doing this again." But the Brussels attacks are, first and foremost, a tragedy — which is a human issue, not a political issue. Sanders seems to get that.